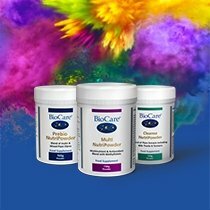 Using only the highest quality ingredients, in combination with innovative production processes and stringent quality controls, represents the foundation on which we create each BioCare® supplement. We aim to provide you with the most bioavailable forms of nutrients for optimal results. Our extensive range includes vegan and vegetarian options, supplements suitable for pregnant women, children and adults of different ages, as well as sensitive individuals, so everyone can get all the nutritional support they need every day. Magnesium – A vital mineral, essential to good cellular health, magnesium plays an important role in energy metabolism, muscle and nerve function, as well as contributing towards good bone and teeth health. Vitamin B – The BioCare® range of vitamin B supplements includes a vitamin B complex, which helps support a variety of body functions, making it an essential addition for a healthy lifestyle. Vitamin C – A powerful antioxidant that can be obtained from citrus fruits, vitamin C is a strong ally for your immune system. 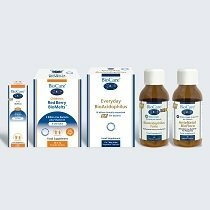 At BioCare® we can help you supplement your intake of vitamin C with a wide range of products available in tablet, capsule, powder and liquid forms. Vitamin D – Whilst the body can create vitamin D from direct sunlight, modern lifestyles mean that we sometimes don’t make enough. Public Health England advise to supplement your intake of vitamin D with suitable products, as this nutrient helps maintain bones, teeth and muscles. Our Nutrisorb® Liquid BioMulsion® D is designed for maximum absorption. Iron – This mineral helps ensure proper oxygen transportation within the body and a lack of iron can lead towards conditions such as anaemia. Especially important for pregnant women who are more prone to experiencing anaemia, our iron supplements can help you get the dosage of iron your body needs. Choose from capsule or liquid forms. Zinc – Keep your immune system in good health with the help of zinc supplements, available as tablets, or highly absorbable liquid form. Live Bacteria - Our range of ‘good bacteria’ supplements includes products made with the unique LAB4 complex of bacteria. Choose from dairy-free, vegetarian and vegan options. Methylfolate – Unlike folic acid, methylfolate doesn’t need to be converted by the body. This type of product can help supplement the necessary intake of folate, especially for pregnant women, and at BioCare® is provided as Quatrefolic®, an exceptionally stable and bioavailable form. Fish Oil – A popular source of essential fatty acids, fish oil can be incorporated as part of your diet in different forms. Choose from capsules or liquids. 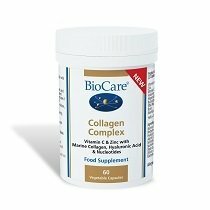 The BioCare® range also features liquid fish oil supplements suitable for children. Discover these high-quality ingredients and more excellent supplements by browsing our website, or contact our team of experts if you require any additional information. Alternatively, you can explore our Advice section which is rich in useful resources.